John Francis Daley ("Bones") co-directed this pitch-black comedy about some friends whose regular game night goes off the rails when one in their group gets kidnapped by apparent burglars. 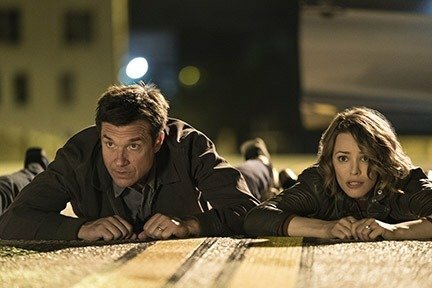 Jason Bateman and Rachel McAdams star as a hyper-competitive married couple going through a rough patch; the first-rate ensemble also includes Kyle Chandler, Billy Magnussen, Sharon Horgan, Michael C. Hall and Lamorne Morris. The movie was both a critical and commercial hit, earning back three times its production budget.